Basic structure of the language in a fun puzzle game. 18 questions online test about English grammar. Move with arrows, send the verbs in the correct basket. 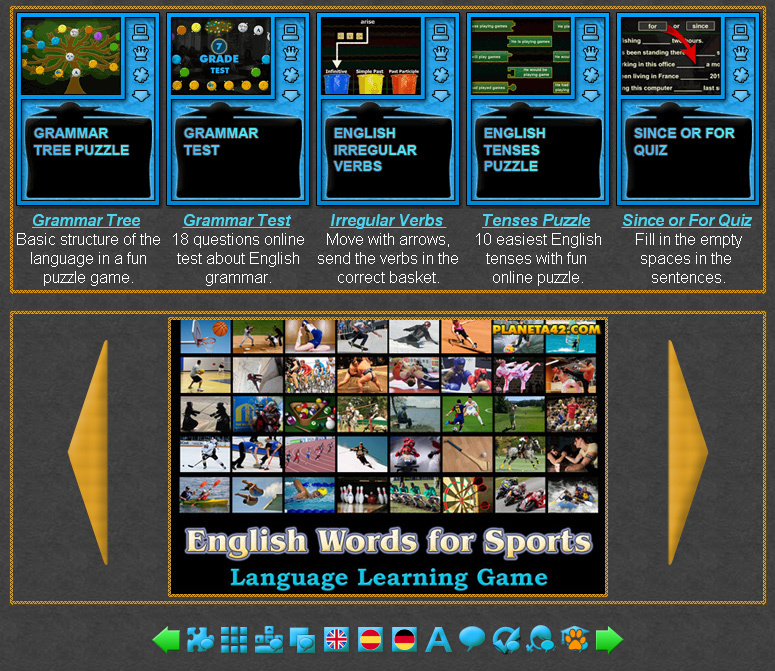 Online Language Games for Students Collection. This collection include all language educational games suitable for students and pupils in 9 grade and above, as well as for adults. Free online games to teach and learn foreign languages for students in higher grades. Fun educational students games, suitable for online lessons and interactive classes. Interactive Language Learning for Students. 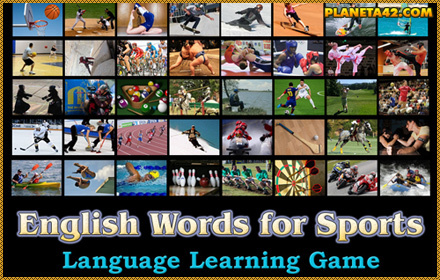 Fun Language Games for Students Collection. Grammar Tree - Basic grammatical rules as fruits of the grammar tree. English Tenses Puzzle - Fit the missing pieces to forma one of 10 English tenses. Irregular Verbs Tetris - Move the verbs in the correct basket. English Foods - Point and click the correct foods in English. English Sports - Point and click the correct sports in English. Spanish Words for Foods - Point and click the correct food in Spanish. Grammar Test - 18 questions online test for basic grammar rules. Since or For Quiz - Fill in the empty spaces in the following sentences by using Since or For.